Supriya and I are now three weeks into a year long journey that will lead to us becoming certified childbirth educators with Birthing from Within and although we have already dived in deep, I feel I am still just scratching the surface. Rather than using the term educator, which could imply an old-school paradigm of teacher and student, we are encouraged to use the word mentor, which describes a person with experience and understanding who guides others to find their own wisdom and direction. As you may know, if you’ve read some of read my previous posts, such as this one, Pam England’s (founder of BfW) work has been a great source of inspiration for our work with pregnant women and their partners. What I love about the BfW approach is that it takes a completely different angle than conventional childbirth education, using a variety of creative and experiential tools to enable parents to access their inner knowing as well of making sense of the various information, opinions and decisions they may encounter through the childbearing year. As someone who holds creativity and spirituality deep in the core of my daily life, I resonate with the use of art, archetype, story and metaphor that makes this practice so unique. What is more, the course is causing me to explore and question my own stories and assumptions about birth which is a challenging but necessary process. I look forward to the unfolding of inspiration and insights over the coming months as we add depth and richness to this rewarding work. This weekend saw us christening a new space for our pregnant mamas’ circle, which we are very excited about. We are extremely grateful to those families, particularly Veronica and Andrea, who generously hosted the group at their homes these last months. Now we have use of the beautiful, bright room at the Casa de Povo in Barril de Alva, where we have plenty of space to move around and expand into. If you are interested in joining our fortnightly pregnancy circle, give us a shout. The other exciting event of the weekend was the first in a series of screenings around Portugal of the feature length documentary Why Not Home?, which we helped to organise as part of our involvement in the home birth movement, Uma Mãe Nasceu. The screening took place with a small crowd in the small town of Tábua and was met with interest and enthusiasm. The next one we hope will be to an audience of midwifery students at Coimbra University, which has the potential to be quite an eye-opener for those training within the hospital system who don’t often get to witness physiological birth. The film is particularly interesting because it looks at medical professionals who work in obstetrics in a hospital environment but have chosen to give birth at home. For Portugal, a country where doctors are very much put on a pedestal, the idea that the professionals themselves acknowledge that a hospital may not be the ideal choice for every woman’s birthplace is somewhat controversial. Hence this feels like an important film to bring into the public arena. It was a pleasure to meet the group of people who attended the screening and for me, rounded off a day that reflected so much of what I love about working with birth: Connecting with individuals at a transitional point in their lives and bringing awareness and positive change in this field to our communities. I’ve had the pleasure of running an intimate pregnant mamas’ circle over the last 6 months with Roshnii. It feels like we have all been on quite a journey witnessing tiny bellies grow into full voluptuous curves. We are now on the verge of welcoming several of these mamas over the threshold into new motherhood. What an exciting time. There have been tears, growth, realisations and much laughter shared. As well as teaching yoga for pregnancy our focus when working with pregnant women is to encourage and facilitate them to dive deeper into their subconscious and unconscious, to explore and uncover more of themselves. I feel such gratitude to be able to walk this path beside pregnant mamas witnessing the infinite transformations that occur as the miracle of pregnancy unfolds. These last few months we have enjoyed making labyrinths as a tool for childbirth, moulding clay into birth power symbols, experimenting with the power of the breath in its myriad forms and used drawing and visualisation as a way to access deeper parts of ourselves. This cycle of women is slowly coming to a close over the next couple of months. We would love to continue the group so if you are pregnant yourself or know someone you think would enjoy a nourishing nurturing space to prepare body and mind for birth please shout out. We would love to hear from you. What is a doula anyway? Although the word ‘doula’ dates back to Ancient Greece, it is relatively new to the English and Portuguese language, but what does it actually mean? Doula is a word of Greek origin meaning servant or handmaiden. It has become the term used for someone who takes care of a woman during labour and birth and in the early days and weeks with a new baby. These days, when we live in less close-knit communities than in the past, women are often choosing to hire someone to fulfill the role of a birth companion that might once have been taken by a grandmother, aunt or other experienced woman in the community. We have been blessed with the opportunity to work with a circle of beautiful pregnant mamas right in the heart of our rural community. You know what it’s like when you set an intention for a new project and then the universe seems to send opportunities flowing in the direction you want to go? Well it has felt a bit like that for me and Supriya. Having been dreaming and scheming about coming together to work with birth and pregnancy in central Portugal, a few months ago, we committed to this exciting collaborative process. No sooner had we sealed this agreement, doors started opening to allow us to engage with this rewarding work. The fortnightly pregnancy circle is one of those doors. Currently, we are running this group in the Coja area of Arganil. 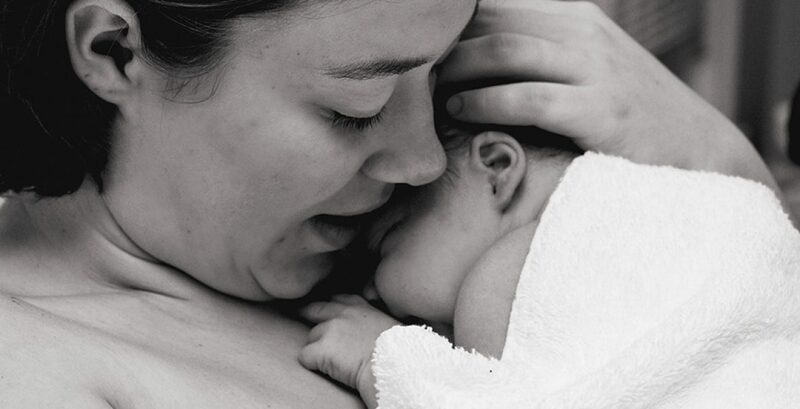 If you’d like to know more about what we offer, you can read about our birth doula service or our birth preparation courses. Or if you are interested in joining the pregnancy circle or setting up a similar group in your area, get in touch. You may notice that there have been a few changes made to this site recently. This is to reflect a new chapter of collaboration that I, Roshnii, am embarking on with an old friend, soul sister and co-doula, Supriya. Supriya and I met on a meditation retreat in the Swiss Alps in 2004. Over the years, we became closer and closer, particularly as our journeys into motherhood unfolded. In 2013, we both decided to move to Portugal. My family and I made the move quite swiftly. For Supriya and her tribe, it was a slower transition. For some years, we have dreamed about and discussed the idea of working together and now we are embarking on that adventure.